Redding Full Length Die Sets include a full length sizer decapper die and a bullet seater crimp die. Sets for straight wall cartridges like handguns will also include an expander die. Full length die sets produce the most consistent and reliable ammunition with the least amount of complication. 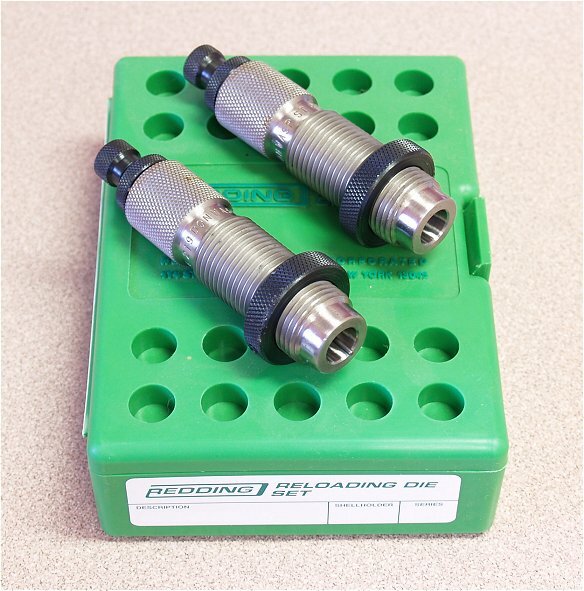 Redding full length dies are all threaded to fit all standard reloading press brands.